Blown, chopped, channeled, Z’d, kicked, boxed. 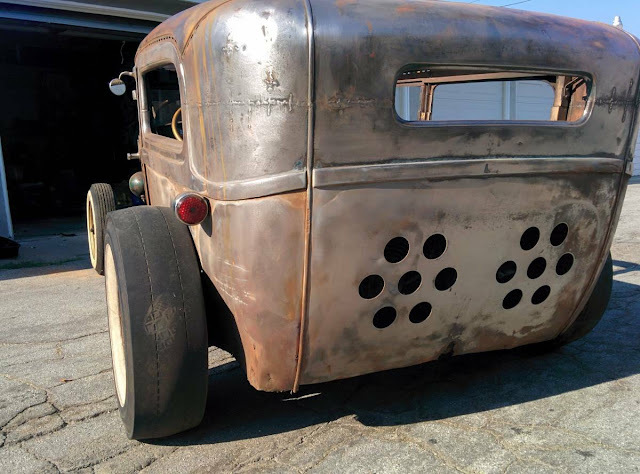 No, that’s not a description the last week-long bender you had in college, that’s everything that’s been done to this bare metal Ford sedan to prep it to scare the hell out of everyone in every sense. Find this 1929 Ford Model A Tudor sedan on craiglist in Atlanta for $18,000. This post is part of DT's 2016 Birthday Celebration of 100 cars; enjoy the ride! 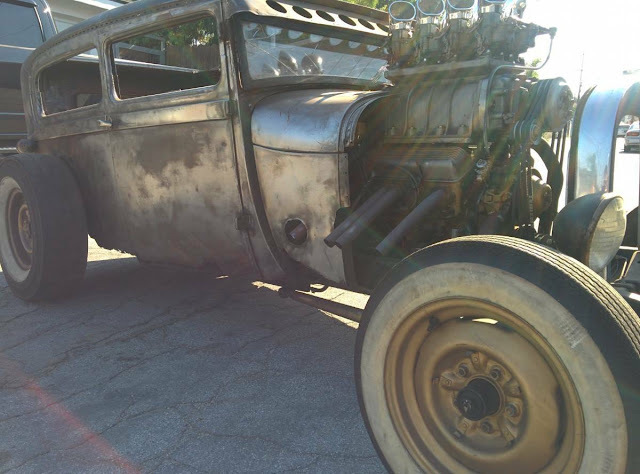 Built using a lot of period parts, this rat rod is not simply a few cans of flat black paint and neglect. Driving it promises to be a harrowing combination of emotions. Can you get a car from 1929 that you could drive every day? Sure...but this ain't it...unless you are insane.